Our Barossa Collection is BIG. 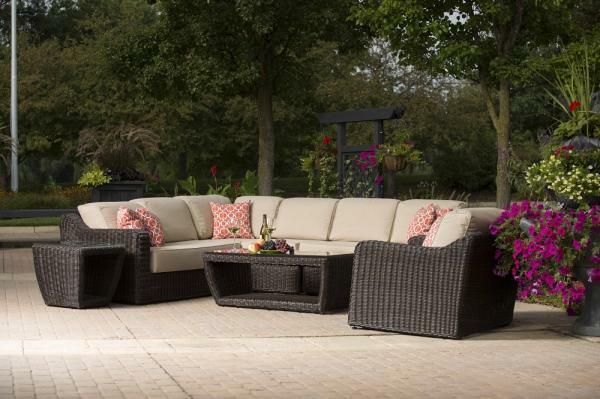 This luscious collection boasts 8-inch deep cushions in durable Sunbrella® fabric, and an oversized feel. Each distinctive piece features PermaWeave structure in our elegant weave finish. Barossa includes many seating sets configured to fit any outdoor living area, along with matching bar sets. With its great combination of comfort and practicality, you’ll find yourself spending more time outdoors than ever before, for years to come.